Here is an easy dinner idea that also makes great leftovers for lunch tomorrow. 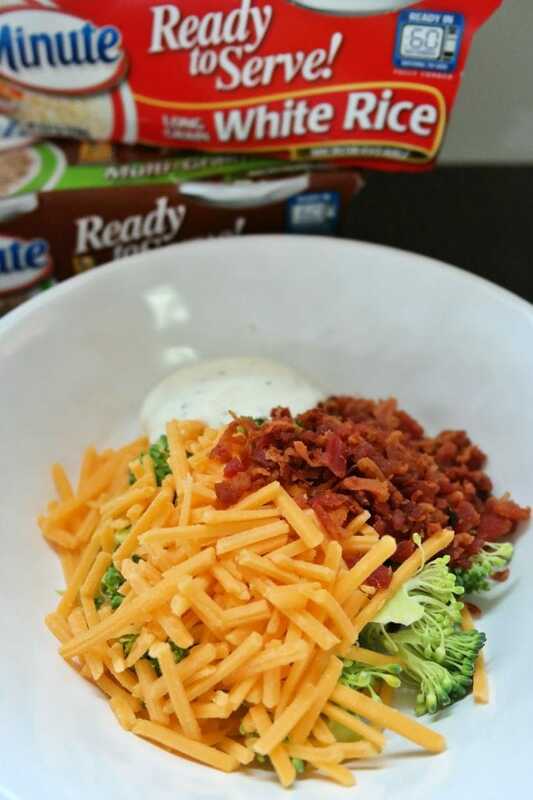 Chop the broccoli into bite-sized pieces and combine with the shredded cheese and bacon pieces. You can also add onion or other veggies if you like. 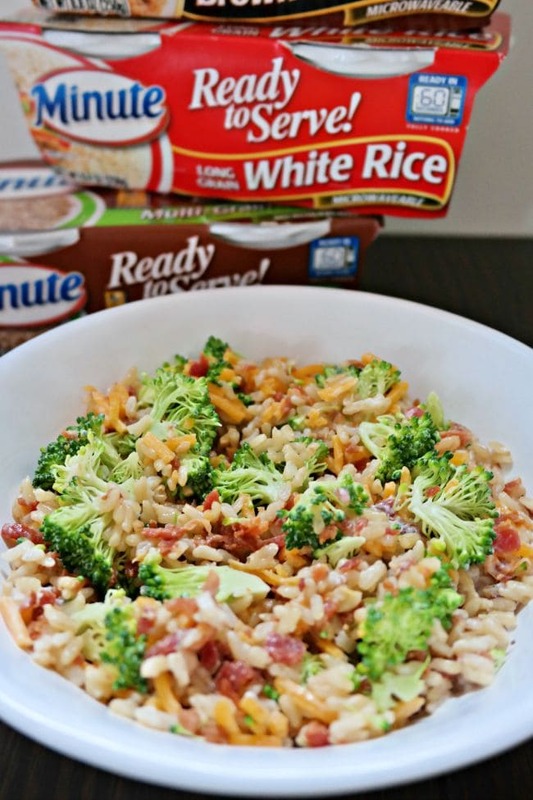 Stir in the ranch dressing and let set while you heat the Minute® Ready to Serve Rice. Heat the rice according to package instructions. Add the rice to the broccoli mixture and stir to combine. If you’re at home this recipe can be combined and eaten warm, cold, or at room temperature. 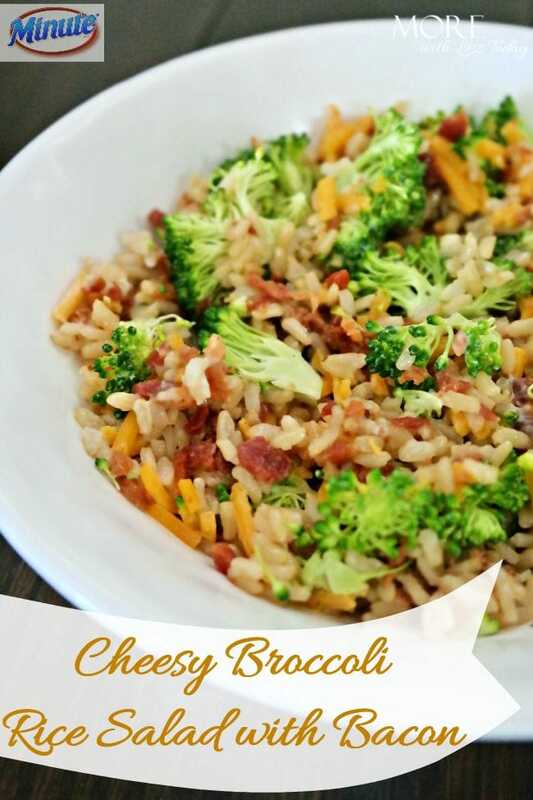 If you’re packing this meal option for lunch on the go, store the broccoli mixture in a sealed container that you can add the rice to when ready to eat. 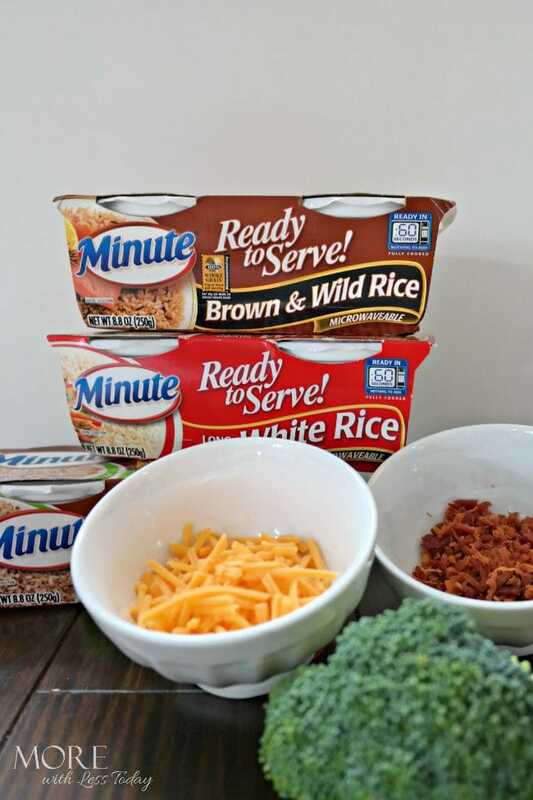 With many varieties to choose from, Minute® Ready to Serve Rice is a go-to food in our pantry. It can be eaten for a snack, meal, or anytime, even for breakfast or dessert! 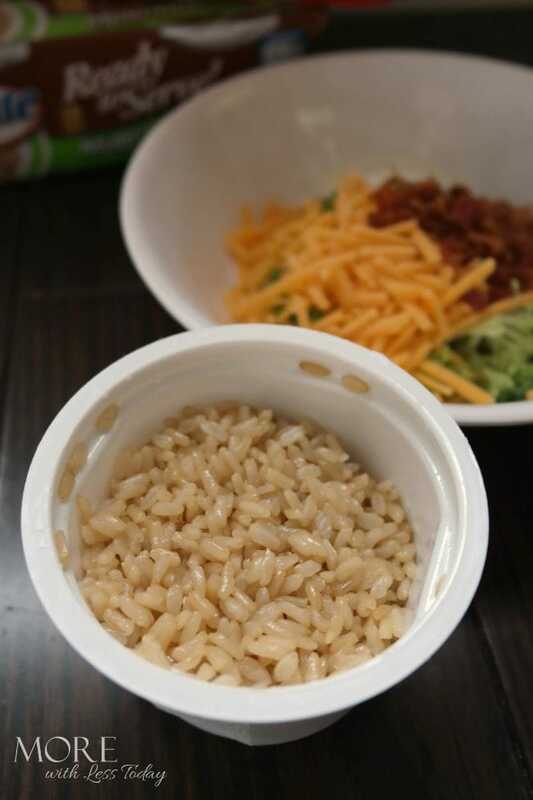 What would you add to Minute® Ready to Serve Rice for a snack or quick meal? For more easy recipe ideas, visit the website here. I can’t wait to make this. I’m kosher, so I’ll be using turkey bacon, but that’s the only change I’ll make. This is going to be the bomb-diggity! That looks so good and something my entire family would love to eat too! Thanks for sharing ! YUM!! That looks delicious! We’re big MInute Rice fans. All of their products are great, the ready to serve is super convenient. That sounds like a fantastic combination! I think we have all the ingredient handy already! Yum! This looks amazing and it’s something I know my whole family would enjoy! I can’t wait to try out the recipe!